Appropriate for Halloween is this next episode in the Table Top biweekly series hosted by Star Trek's Wil Wheaton on Felicia Day's Channel Geek and Sundry. Today Wil and friends play a fast-paced game of brain-eating Zombies, small town heroes, and horror movie action. First hide your brain and then take a seat and let's watch as Wil and his guests: Felicia Day (actress, producer, writer), Riki Lindhome (actress, comedian), and Kate Micucci (actress, comedian) try to survive The Last Night On Earth. 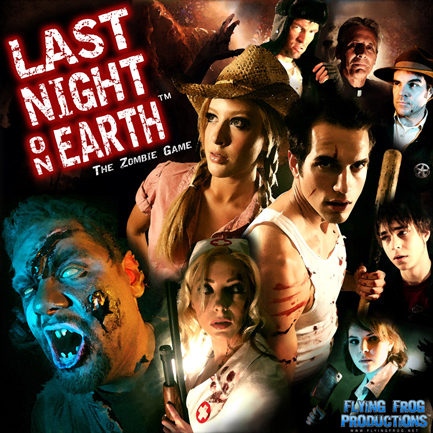 You will find Last Night on Earth, The Zombie Game available here at Off The Charts Games.